You will love working with Berroco Corsica! With a wearable pastel heather color palette, this machine washable dk weight yarn is perfect for spring/summer garments and accessories. 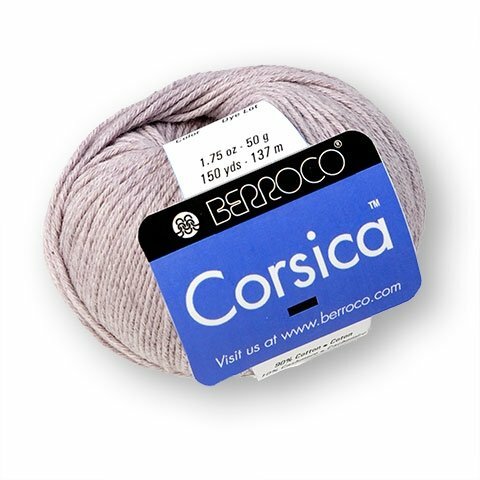 The blend of cotton with a touch of cashmere creates a luxury yarn that will produce a soft fabric with clearly defined stitches.